3 Deluxe Cabinet with BloodBorne Pathogen Kit features 3 shelves and no medicinals included. Heavy duty metal cabinets that are dust resistant. 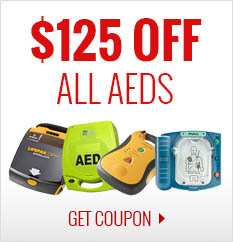 Filled with a large variety of high-quality first aid products. 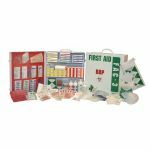 1 first aid facts guide.